In 10-inch skillet, heat oil over medium heat. Add garlic; cook 1 to 2 minutes, stirring constantly, until light golden brown. 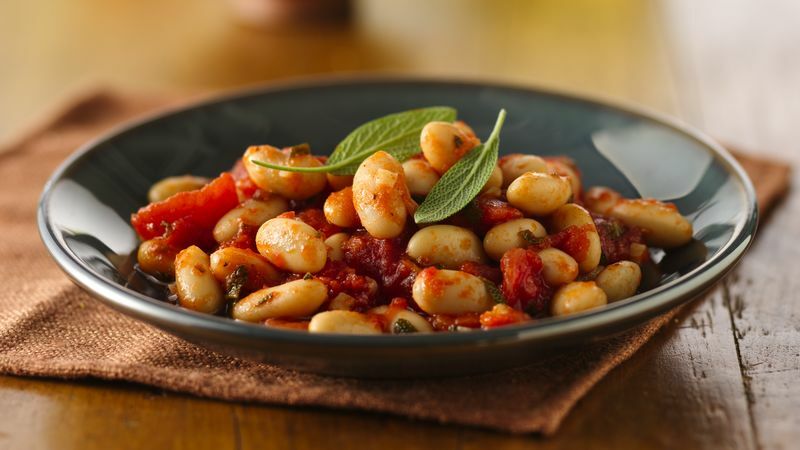 Stir in tomatoes, beans and sage. Heat to boiling. Reduce heat; simmer uncovered 5 to 7 minutes or until most of the liquid has evaporated. Stir in salt and pepper. Use about 1/2 teaspoon dried sage leaves instead of the fresh, if you like.